So, About That DAD'S ARMY Reboot | Warped Factor - Words in the Key of Geek. There are a handful of British institutions that are very dear to me - with Doctor Who being the prime example for readers of this site. Also holding a place in my heart is Dad's Army, a Second World War set sitcom which was clearly never intended for my demographic whilst I was growing up in the 1970s & 80s, it nevertheless dripped into my subconscious as my parent's would watch repeat after repeat whilst howling with laughter. The news that there was to be a big screen adaptation initially filled me with dread. Surely it would be impossible to successfully reboot something as unique as Dad's Army? We've seen so many of our childhood staples destroyed over the years (many times thanks to Michael Bay) that it's become natural to expect the worst. I also thought it was a very strange decision in the first place as people too young to know Dad's Army aren't going to be interested in a bunch of old codger's in a wartime comedy, and anyone old enough to remember the original all seemed horrified by the prospect. So who would this film be marketed to? It was announced that the movie would be directed by Oliver Parker, who'd previously rebooted St Trinian's, and scripted by his Johnny English Reborn cohort Hamish McColl, and again I feared the worst. But as more and more information came to light, from casting news to set reports, I started to let my (home)guard down a little, I began to warm to the idea, and must admit I've been quietly looking forward to it. It's the cast that really swung it for me. 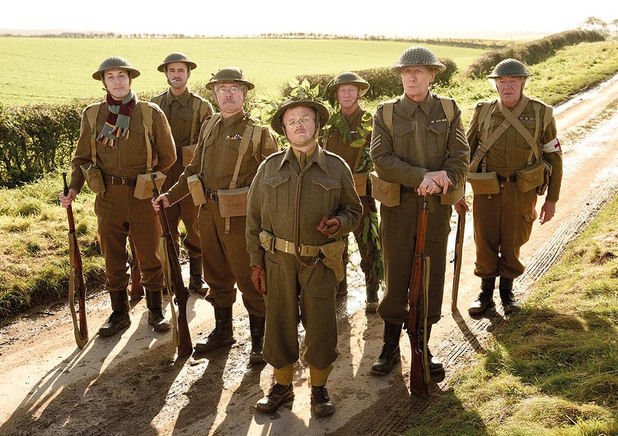 We had the first poster released a couple of days ago, which is sat at the top of the page, and left to right you can spot the new versions of the old recruits starting with Private Walker (Danny Mays), through Private Godfrey (Michael Gambon), Private Pike (Blake Harrison), Captain Mainwaring (Toby Jones), Sergeant Wilson (Bill Nighy), Lance-Corporal Jones (Tom Courtenay) and Private Frazer (Bill Paterson). There's some talent there, for sure. Unless this trailer is a very poor example of the finished product, it seems that, as much as I don't want them to be true, my initially fears were warranted. We have so many great actors on display, but on the strength of this I'm stunned they all agreed to take part. It looks just awful, don't you think? Perhaps it's not really made for 'me', perhaps they are hoping to pitch the movie to a market that doesn't remember the original - but that seems highly unlikely. I can't see your average teenager choosing this option on a Saturday night, can you? 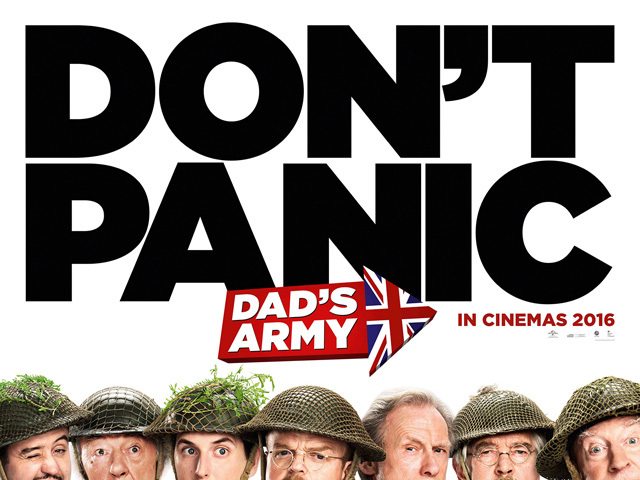 Dad's Army arrives in cinemas in 2016.